Show the world that you support us! What are proteins and what do they do? What Are Dominant and Recessive Alleles? What Are Single Nucleotide Polymorphisms? How Long Is A Generation? 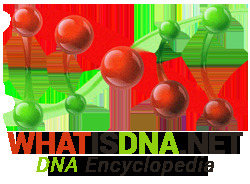 What Does DNA Stand For? The Genetics Society of America (GSA), founded in 1931, is the professional membership organization for scientific researchers and educators in the field of genetics. The American Society of Human Genetics is the primary professional membership organization for human geneticists in North America. The American Society for Cell Biology's objective is to provide for the exchange of scientific knowledge in the area of cell biology.